The Queens Museum of Art is pleased to present Secret Games: Wendy Ewald Collaborative Works with Children, 1969-1999. Widely recognized for her innovative approach to documentary photography, American artist Wendy Ewald has worked with children and adults around the world in a sustained and evolving artistic and educational project. Co-organized by the Addison Gallery in Andover, Massachusetts and the Fotomuseum, Winterthur, Switzerland, this exhibition is the first major retrospective of her work. Starting initially as a documentary investigation of places and communities connected to teaching, Ewald’s work has evolved over the years to focus on questions of identity and cultural difference. She has traveled throughout the world, working in communities in Labrador, Appalachia, Colombia, India, South Africa, Saudi Arabia, Holland, Mexico, and Durham, North Carolina, and teaching people how to use a camera—often for the first time. In all of these projects, Ewald partners her observational and creative skills with her subjects’ imaginations, encouraging them to use cameras to create individual self-portraits and portraits of their communities, and to articulate dreams and hopes while working directly with her in visual and verbal collaboration. Ewald also makes photographs, sometimes giving the negative to her collaborators to mark up, mixing the images and creating a new form of artistic expression. In blurring the distinction between photographer and subject, Ewald challenges individual authorship of the work and throws doubt upon traditional notions of the artist’s identity. She begins her artistic process by addressing conceptual, formal, and narrative concerns of photography with her collaborators; the subject matter is open to explore societal issues that are relevant to the collaborators’ environments, such as race, class, or gender. The results are poetic and vibrant portraits that reveal intimate connections to her collaborators’ culture and that carry meaning far beyond traditional documentary photography. This exhibition presents thirteen bodies of work from around the world, along with a new Alphabet Project created in collaboration with Arab-American students at I.S. 230 in Jackson Heights, Queens, made in fall 2002 for this occasion at the Queens Museum of Art. In conjunction with Secret Games, the Queens Museum of Art and the New School University’s Vera List Center for Art and Politics will conduct “On Collaboration,” a symposium exploring collaborative art, its models and practices, and the political, social, and pedagogical questions it raises for artists, individuals, and communities that engage in projects. Wendy Ewald was born in Detroit, Michigan, in 1951. She studied photography at Massachusetts Institute of Technology with Minor White (1970-71) and received a B.A. in Art at Antioch College, Yellow Springs, Ohio (1974). For years, Ewald’s artistic collaborations have been widely published and exhibited, and she has received much recognition for her creative practice, including a MacArthur Fellowship, a series of major grants from arts funders including the National Endowment for the Arts, The Andy Warhol Foundation, the Surdna Foundation, the Open Society Institute, and others. She is currently a Senior Fellow at the Vera List Center for Art and Politics, and a Senior Research Associate for Documentary Studies at Duke University, Durham, North Carolina. Images from the exhibition and a biography of Wendy Ewald are available upon request. A 350-page catalogue published by Scalo Press documents the projects included in the exhibition. I Wanna Take Me a Picture: Teaching Photography and Writing to Children by Wendy Ewald and co-authored by Alexandra Lightfoot is published by Beacon Press. 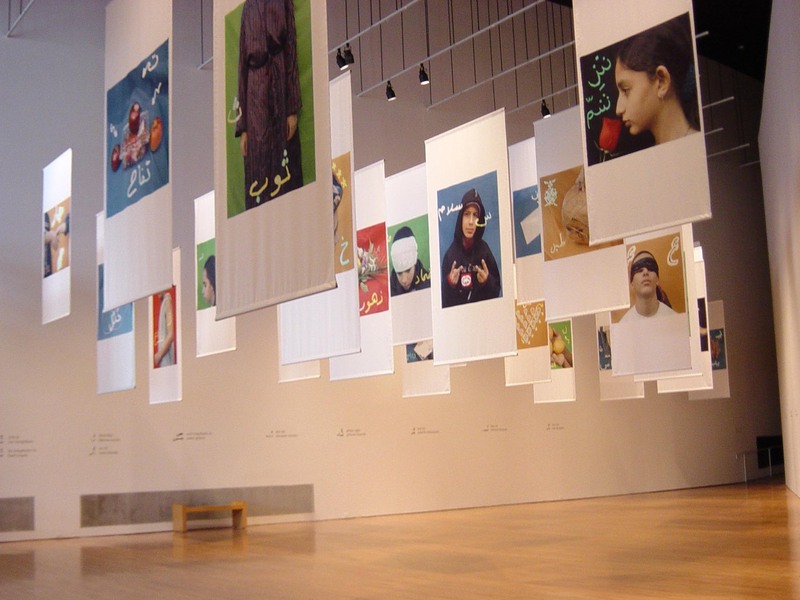 This exhibition was organized by the Addison Gallery of American Art, Phillips Academy in Andover Massachusetts, and the Fotomuseum Winterthur in Winterthur, Switzerland. The exhibition has been funded in part by generous grants from the National Endowment for the Arts, a federal agency, SAM Sustainability Group (www.sam-group.com) and Volkart Foundation. Additional funds were provided by Warren Coville, MIGROS Cultural Percentage, John Ryan III, the Stanley Thomas Johnson Foundation, the Boston Foundation, and Astoria Federal Savings. The Arabic Alphabet was made possible by the Vera List Center for Art and Politics and the Barbara Jordan Fund of the New School University. Secret Games: Wendy Ewald Collaborative Works with Children, 1969-1999 opened at Fotomusuem in April 2000 and traveled to the Stills Gallery, Edinburgh, Scotland, the Museet for Fotokunst, Odense, Denmark, the Addison Gallery of American Art, Andover, MA, the Corcoran Gallery of Art, Washington, D.C., Museum of Art, Rhode Island School of Design, Providence, RI, and the Museum of Contemporary Art Kansas City, MO. The exhibition will travel to North Carolina Museum of Art, Raleigh, NC.